According to our constitution, the head of our country is the President. But the head of the government is the Prime Minister. In other words, the President is the nominal executive authority of the nation whereas, the Prime Minister is the real executive authority. Article 75 of the Indian Constitution states that the President of India will appoint the Prime Minister. Other than that, no specific procedure for the appointment of the Prime Minister is mentioned in the Indian Constitution. But this does not mean that the President of the country can select any person as the Prime Minister. Conventionally speaking, in a parliamentary system of government, the leader of the majority party in Lok Sabha is selected as the Prime Minister by the President. If there is no party with absolute majority in the lower house, then the President is free to use his own discretion to select and appoint a Prime Minister. Usually the President selects the leader of the largest party or the leader of the largest coalition in the Lok Sabha. Such a candidate is then the given one month to receive the vote of confidence from the house. For example, in 1979, President Neelam Sanjiva Reddy appointed Charan Singh as the Prime Minister who was the leader of the coalition at that time. This was exercised due to the dissolution of the Janata Party government which was headed by Morarji Desai. Another situation in which the President might have to use his own personal judgement to select a Prime Minister is in case of the Prime Minister's sudden death and there is no obvious candidate to take up the position. This happened in 1984 when Prime Minister Mrs Indira Gandhi was killed. Giani Zail Singh, who was the President at that time appointed Rajiv Gandhi as the Prime Minister. Doing so, he ignored the precedent to appoint a caretaker Prime Minister. This Precedent was followed is the case when Jawaharlal Nehru and Lal Bahadur Shastri died. Both of these times, the President appointed the senior most minister at that time as an acting Prime Minister until the formal election by the ruling party. Both these times Gulzarilal Nanda acted as the Prime Minister. In case the ruling party elects a new leader, then the President has to appoint the chosen person from the ruling party as the Prime Minister. According to a judgement passed by the Delhi High Court in 1980, a person who has not yet proven his majority in the Lok Sabha can also be Prime Minister, given that the President gives him a reasonable amount of time to prove is majority. Examples of this provision are Charan Singh in 1979, VP Singh in 1989, Chandrashekhar in 1990, Atal Bihari Vajpayee in 1996, Deve Gowda in 1996, I K Gujral in 1997 and once again Atal Bihari Vajpayee in 1998. 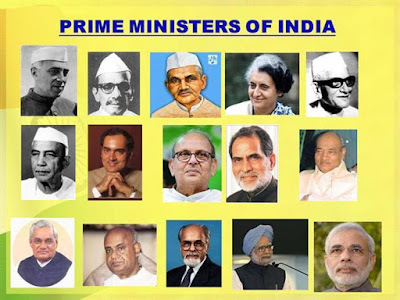 The Supreme Court in 1997 provided that a person can be appointed as the Prime Minister of the country even if he is not a member of either the Lok Sabha or the Rajya Sabha. But he can only be Prime Minister for 6 months after which he ceases to hold this position unless he becomes a member of either of these houses. According to the Indian Constitution, the Prime Minister can be a member of either of the houses of Parliament. It is not necessary for a candidate to be from Lok Sabha. For example Indira Gandhi, Deve Gowda and Manmohan Singh were the members of Rajya Sabha. This provision is different in Britain where the Prime Minister must be a member of the lower house or the House of Commons. 1. The Prime Ministers swears true faith and allegiance to the Indian Constitution. 2. He or she swears to uphold and maintain the sovereignty and integrity of India. 3. He or she swears to faithfully perform the duties of his/her office. 4. He or she is swears to do right by all the classes of people with accordance to the constitution and the law, without any fear, favor, affection or ill will. 5. Apart from this, the Prime Minister also has to take an oath of secrecy. In this oath, the Prime Minister swears that he will not directly or indirectly reveal to anyone, information on any matter which is brought for his consideration or which he learns as a Union Minister except in cases where revealing such information is required for him to perform his duties like formulation of new policies and strategies. The term of the Prime Minister is not fixed and he holds his position according to the will of the President. But it does not mean that he can be removed at any time. As long as the Prime Minister has the support in Lok Sabha he cannot be dismissed. It is only after he loses support in Lok Sabha that he has to resign or the President can dismiss him. The salary and benefits of the Prime Minister are decided by the parliament. They are similar to a member of parliament. In addition to this, he also gets free accommodation, travel and medical facilities. 1. The prime minister recommends candidates who can be appointed as ministers. The President can only appoint those people as minister which have been recommended for the required post by the Prime Minister. 2. Prime minister has the power to designate different offices among the ministers. 3. The Prime Minister can recommend a certain minister to be removed from office to the President or he can ask the concerned ministers to resign. However he himself does not have the power to fire a Minister. 4. The Prime Minister is the head of the Council of Ministers and he presides over its meetings. He has the power to influence the council's decisions. 5. He controls and monitors the activities of all the Ministries. 6. If the Prime Minister resigns from the Council of Ministers, it is automatically dissolved. In case the current Prime Minister dies, then the council of Ministers is dissolved automatically which creates a vacuum. However if a minister from the Council of Ministers dies, then it only creates a vacancy which the Prime Minister may or may not choose to fill. 1. To inform the President of all the decisions which were made by the Council of Ministers related to the administration matters of the Union. 2. To ask the council of minister to consider a decision which has been made by one of the ministers without the consideration of the Council of Ministers. 3. To recommend candidates for the appointments of Attorney general of India, Comptroller and Auditor General of India, Chairman and Members of the Union Public Service Commission, Election Commissioner, Chairman and Members of the Finance Commission etc. 3. The Prime Minister announces various government policies on behalf of the government on the floor of the Lok Sabha.